To qualify for the Winter Two Day Final, we hold an open match every Saturday from September right through til March. There are 36 places up for grabs, so even if you don’t win your qualifier, you can still qualify by default. To book in for the winter qualifiers, please call Alex Bates on 07824 878492 for more information. Rookery Waters are proud to announce that we will be hosting our first Guru Two Day Festival on the 4th & 5th of May 2019. 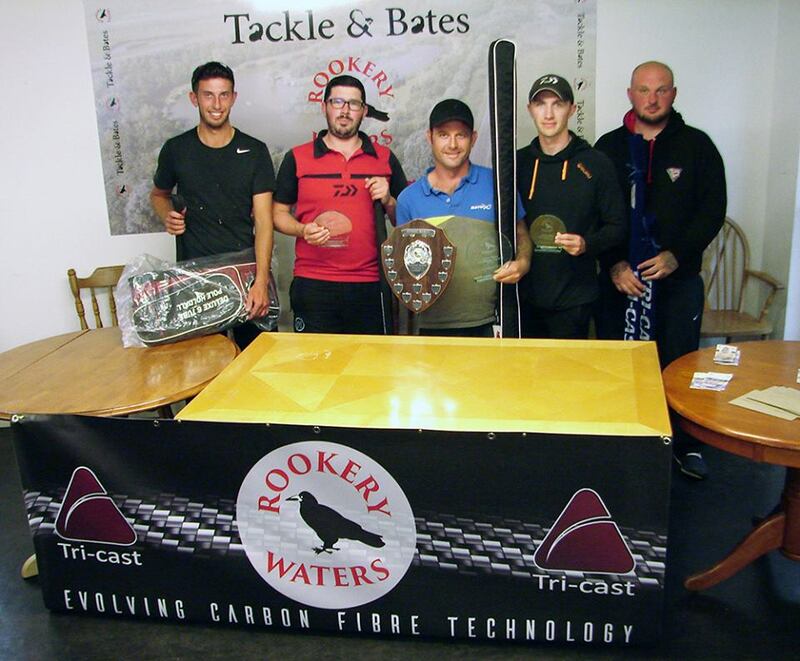 This 56 peg match will be fully sponsored bu Guru, who will be giving top tackle prizes to the top placed anglers. We will publish all booking information, costs and match info in early February, so keep popping back or visit our Facebook page for more info. From April right through til August, there is a Saturday qualifier each week end and as the days get long, there are also Thursday qualifiers. With 56 places in the final up for grabs, these matches are very well supported and you should always book in in advance to guarantee a space. To book in for the qualifiers, please call Alex Bates on 07824 878492 for more information. This years see’s the fourth annual Rookery Waters Open Day. This annual event is a great day for all the family, with something for everyone, no matter what the age. We offer free fishing coaching to all junior anglers who attend, with all bait and tackle supplied by our team of match anglers who give up their bank holiday Monday to assist the kids. We also have pond dipping, an assault coarse, tractor rides, petting zoo, bouncy castle, plus a BBQ, snacks, soft drinks and ice creams to keep the kids happy. For the parents who fancy a break and something a little stronger, we also sell a good selection of beers. At the 2018 open day, we had well over 300 people in attendance, with over 180 juniors coached, making this one of the biggest fishing family days currently being run in the U.K.